The pathologist who examined Dr David Kelly has been widely reported as saying that his death was a "textbook" case of suicide. This depends very much on the textbook. In a textbook of physical pathology, Dr Kelly's injuries might well provide an exemplar of a suicide by wrist-cutting. But from a psychiatric epidemiological perspective, a different picture presents itself. Wrist-cutting is such an unusual form of suicide that it is not recorded separately in national statistics, but is lumped together with other uncommon suicide methods involving self-stabbing. In men of Dr Kelly's age in the UK who kill themselves, less than 3 per cent do so by using any sort of sharp implement. A much smaller number will therefore have actually cut their wrists. So, the physical pathological findings might be typical, but typical of a rare event. Of course, Dr Kelly's death may still indeed have been a suicide. But, compared with most suicides, his case is neither representative nor characteristic. It is so unusual that it surely justifies a full and open public inquiry. Paul Vallely (21 August) gives a generally tranquillising overview of the unnatural death of David Kelly. The main concerns of medical doctors must be not about murder theories but the following. First, there is grave doubt that he could have died as decided by Hutton and as recorded on the death certificate. Second, the diagnosis of suicide is not proven in law; there is no evidence of intent. And third, the system of inquiry used by Lord Falconer to investigate the death was not the proper way legally to investigate a single unnatural death. The proper procedure is a coroner's inquest, with or without a jury, with witnesses subpoenaed, giving evidence under oath and being fully interrogated. Paul Vallely shows a very poor undertanding of and respect for the vital importance of the rule of law in suggesting that the decision about a coroner's inquest be left to the family and not to correct due legal process. John Locke stated, "Where law ends, tyranny begins". Just so. Ministers faced renewed calls for an inquest into the death of Dr David Kelly last night. A group of five doctors accused the pathologist who carried out the post mortem examination on Dr Kelly of trying to prevent further investigation. Dr Nicholas Hunt insists the death of weapons expert Dr Kelly was a 'textbook case' of suicide. The five doctors have written to Justice Secretary Kenneth Clarke saying Dr Hunt was wrong to publish confidential evidence that the Government is still refusing to release. Trauma surgeon David Halpin, radiologist Stephen Frost, vascular surgeon Martin Birnstingl, epidemiologist Andrew Rouse, and internal medicine specialist Christopher Burns-Cox have been calling for an inquest for more than five years. They said it was 'highly irregular' for Dr Hunt to have discussed autopsy details which have not been placed before a coroner. In their letter to Mr Clarke they say Dr Hunt's comments appear to be part of an officially sanctioned attempt to silence the clamour for a full inquest. Dr Kelly was found dead in 2003, shortly after he was named as the source of stories the Government had 'sexed up' its report on Iraq's weapons of mass destruction. The doctors say he could not have killed himself by slitting his wrist as claimed. Ministers want to publish details of Dr David Kelly’s post mortem examination on the internet to end speculation about the weapons inspector’s death. Downing Street today welcomed the disclosure that Attorney General Dominic Grieve is to review calls for a full inquest following calls for a hearing to clear the air from the pathologist who examined Dr Kelly’s body. But the Mail has learned that ministers would prefer to release documents on Dr Kelly’s demise without the need for a full inquest because they are concerned about the reaction of the scientist’s family. Government officials say Mr Grieve is determined to find a way to ‘draw a line’ under the affair that avoids upsetting Dr Kelly’s widow Janice. In an interview at the weekend pathologist Nicholas Hunt said he would welcome an inquest, claiming the death of Dr Kelly was a ‘textbook case’ of suicide. Mr Grieve’s officials described that intervention as ‘important new evidence’ that could help him decide whether to call for a new hearing. Another government source told the Mail that Dr Hunt’s intervention could give ministers ‘a dignified way out’ of the simmering controversy, which has seen doctors and lawyers question the official findings about Dr Kelly’s death by the Hutton Report. Dr Kelly, 59, was found dead in woods near his Oxfordshire home in July 2003 a week after he was identified as the source of a BBC story claiming the Government 'sexed up' its dossier on Iraq’s supposed weapons of mass destruction. Lord Hutton, whose inquiry took the place of an inquest, controversially placed a 70-year ban on the publication of secret files relating to Dr Kelly’s death, which has driven some to claim the suicide verdict was a cover up. But a senior source said: ‘It is clear from what Nicholas Hunt has said that there is nothing to hide and it may be that it is better to publish the papers, including the post mortem. Officials stress that they have not reached a decision and that it would be ‘unusual’ to publish details of the post mortem, which are usually only released to the family of the dead. The power to release the papers resides with Justice Secretary Ken Clarke, though Mr Grieve has the legal right to demand access to them. A decision is likely to be made after MPs return from their summer break next month. David Cameron’s official spokesman said: ‘The position is that if the Attorney General feels there is material new evidence, he can apply to the High Court for an inquest. 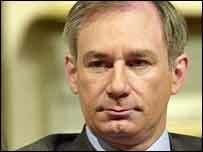 Although Norman Baker MP seems to think, in his book on the subject, that I am among those who doubt that David Kelly committed suicide, I never have doubted that Dr Kelly killed himself. I still don't. Back in July 2003, I wrote an article for the Mail on Sunday, under the headline " Who were the 'dark actors' threatening David Kelly? And will Lord Hutton ever be able to identify them?" I began: "We know of no good reason why Dr David Kelly should have killed himself. This is the most worrying fact that has emerged from the events of the past week." Is Downing Street publicly doing to the BBC what it privately sought to do to Dr Kelly, crudely menacing it into acting as the Government wishes? Let us hope Lord Hutton finds out." The pathologist who did the autopsy on David Kelly has broken his silence to reveal how the scientist died and says it was a “textbook case” of suicide. Nicholas Hunt says he was horrified at the way the Labour government treated the 59-year-old weapons inspector and set out to look for evidence of murder. After eight hours examining the body he found none. Hunt has spoken out for the first time in seven years to quash rumours of foul play and to challenge doctors who have questioned his findings. The Home Office pathologist has also disclosed details from his post-mortem report, which the official inquiry into Kelly’s death banned from publication for 70 years. • Claims that there was little blood at the scene were inaccurate. Hunt found “big clots” on the inside of Kelly’s Barbour jacket and soaked into the ground. • Kelly had about a dozen cuts on his left wrist of varying sizes, including “hesitation” cuts — shallow cuts that he made as he tried to summon the resolve to kill himself. • Two of Kelly’s main coronary arteries were 70%-80% narrower than normal. His heart disease was so severe that he could have “dropped dead” at any moment. • A millimetre by millimetre examination of his body and DNA testing found no evidence of the involvement of a third party. • Kelly’s death was caused by bleeding from the cuts to his wrist, severe heart disease and an overdose of painkillers. Hunt added that he would welcome a full inquest if it meant putting the conspiracy theories to rest. “I felt very, very sorry for David Kelly and was horrified by the way he had been treated by the government … I had every reason to look for something untoward and would dearly love to have found something,” he said. 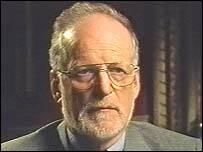 Who killed Dr David Kelly? He was supposed to have died by his own hand when his body was found in an Oxfordshire wood in 2003, after he had been caught up in the tangle between the Government and the BBC over the allegation that No 10 "sexed up" the intelligence claiming that Saddam Hussein had weapons of mass destruction. 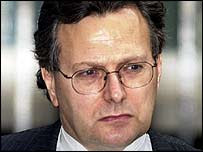 The claims that Britain's senior expert on germ warfare had been killed by "dark actors" from some foreign government – or even by members of our own security services – were supposed to have been laid to rest by the 2004 Hutton Inquiry into Dr Kelly's death. It concluded that the scientist had died from a haemorrhage caused by a severed wrist artery with two contributory factors: poisoning by 29 co-proxamol pain-killing tablets and undiagnosed coronary artery atherosclerosis. It was a suicide verdict some people did not accept. Some of those sceptics were wild conspiracy theorists, but other more respectable voices have raised questions. In January this year, Lord Hutton ordered that all files relating to Dr Kelly's post-mortem – including the autopsy report, unpublished medical and scientific records and photographs of the body – should remain secret for 70 years. The judge suggested that his intention was to avoid further distress to the family. But the move fuelled the conviction of sceptics that something was being hidden. 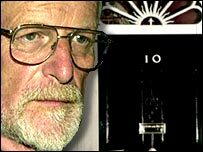 And in the last two months, a rash of disbelieving newspaper articles, predominantly in the Daily Mail, but also picked up by The Times, have ratcheted up pressure on the Government to re-open investigations into David Kelly's death. Earlier this month, nine doctors wrote an open letter calling for "a detailed investigation of all the medical circumstances" and alleging that the Hutton Inquiry's procedures and conclusions were "unsatisfactory". The doctors wrote that it was "extremely unlikely that the primary cause of death would or could have been haemorrhage from a severed ulnar artery in one wrist without any evidence of a blood-clotting deficiency." They called for a "proper inquest", and were supported by a retired pathologist, Jennifer Dyson, who insisted that, had there been normal inquest, a coroner would probably have recorded an open verdict in the absence of absolute proof that suicide was intended. Then the former Conservative Party leader Lord Howard called for a full inquest into Dr Kelly's death, and the Justice Secretary Ken Clarke – the only minister who could overturn Lord Hutton's decision to impose a 70-year secrecy order – met the Attorney General to discuss the issue. 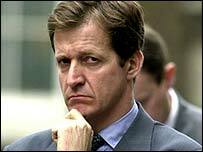 Mr Grieve appears to have little desire to reopen the case. His spokesman said yesterday: "The Attorney General has no investigative function. Whilst he could ask for the papers [impounded under Hutton's 70-year secrecy order] it would be extremely unusual for him to take a proactive step of that kind." Yet the pressure for a new investigation continues. Below, we weigh up the evidence under consideration. 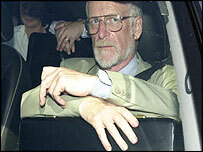 Claim: "Dr Kelly could not have bled to death"
David Kelly's death certificate states that he died from loss of blood. But the nine letter-writing doctors, who included some with expertise in vascular surgery and forensic medicine, challenge that verdict. The blood vessel served was the ulnar artery, the second in the wrist, which one of them described as the width of a matchstick. To die from a haemorrhage Dr Kelly would have had to lose 2,700ml (almost five pints) of blood. "It was impossible for 2,700ml of blood to have been lost through this small artery," the doctors wrote. Moreover, they added, the artery would probably have retracted on being severed and clotting would have ceased the flow. The other factor raised by the nine doctors was the lack of blood where the body was found. The two paramedics called to Dr Kelly's body have said there was not enough blood at the spot to justify the belief that he died from blood loss. The suppressed post-mortem documents mean there is no answer to why the blood-stained leaf litter and soil was not collected. However the doctors were challenged by Dr Andrew Davison, a forensic pathologist at Cardiff University, who accused the nine of a lack of relevant autopsy or forensic pathology expertise: "At an outdoor scene, where blood can seep into the ground, I would not expect to be able to make an accurate estimate of blood lost, and there is no way of measuring the blood remaining in the great vessels post-mortem." Other parts of their science are also disputed. A surgeon specialising in wrist injuries complained that the doctors made mistakes in their letter. "The ulnar artery is not a minor artery, but the main artery supplying the hand and is substantially bigger than a matchstick," Dr LC Bainbridge, a consultant hand surgeon, wrote to The Times. Arteries' ability to retract, constrict and close is affected by age, and "even a small amount of hardening of the arteries can be sufficient to prevent enough constriction to stop the bleeding". Constriction also relied on there being a clean cut to the artery, not a ragged one as in Dr Kelly's case. Claim: "Kelly's dose of painkillers was non-fatal"
Lord Hutton concluded: "It is probable that the ingestion of an excess amount of co-proxamol tablets coupled with apparently clinically silent coronary artery disease would both have played a part in bringing about death more certainly and more rapidly than would have otherwise been the case." Some doctors disagree, saying that the number of pills that Dr Kelly had consumed was not enough to cause death. Co-proxamol is a combination of two drugs, dextropropoxyphene and paracetamol, both of which are highly toxic in overdose. In Dr Kelly's blood the concentration of dextropropoxyphene was at the lower end of the range that has been measured in people who have used co-proxamol successfully to commit suicide. Jennifer Dyson, the retired pathologist, suggested that the combination of stress, blood loss and overdose could have produced a heart attack; the autopsy showed Dr Kelly was suffering from cardiovascular problems he did not know about. Another forensic pathologist, Chris Milroy of Sheffield University, suggests that Dr Kelly's heart condition may have made it hard for him to survive any significant degree of blood loss. 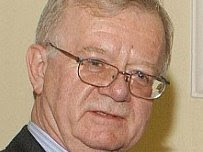 And Professor Robert Forrest, a toxicologist and the former President of the Forensic Science Society, concludes: "I've no doubt that the cause of David Kelly's death was a combination of blood loss, heart disease and an overdose of co-proxamol... it is important that all of them interacted to lead to the death." Claim: "A suicide verdict didn't make sense from a psychiatric point of view"
Lord Hutton's verdict of suicide was largely based on evidence by Professor Keith Hawton, director of the Centre for Suicide Research at Oxford University's Department of Psychiatry. Professor Hawton spoke to Dr Kelly's widow and daughters, read his last emails and watched a recording of his interrogation by a committee of MPs. Dr Kelly, he said was not "mentally ill", a factor often linked to suicide, but there were very significant pressures upon him. But another leading expert on suicide, Colin Pritchard, emeritus professor at the University of Southampton, last week expressed concern about how fully Prof Hawton was questioned by Lord Hutton. Insufficient weight had been placed on Dr Kelly's arrangement to see his daughter Rachel on the evening of his death, Prof Pritchard claimed, and given the quality of the relationship between father and daughter, Dr Kelly would have left an apologetic note. Crucially, Prof Pritchard said, there was no evidence of "intent to die" by Dr Kelly, which is essential for any suicide verdict. "No coroner in the land would say anything other than 'Open verdict'." However, the BBC journalist Tom Mangold, a friend of Kelly's, is firmly of the opinion that he killed himself, and that the conspiracy theorists have yet to identify motive, perpetrators or opportunity. Mr Mangold says for the conspiracy theories to be correct, David Kelly was somehow kidnapped unseen from his house in a small village while his wife was present, frog-marched into the woods, released (a friend saw him walking alone) and re-captured, before having his wrist cut and 29 tablets forced down his throat without leaving a mark; there would have to subsequently be a cover-up between local police, Special Branch, MI5, MI6 and some central government employees. Mr Mangold's conclusion: "I believe that David killed himself because he learned, a few hours before he took this fatal step, that lies he had told to MPs on the Foreign Affairs Committee hearing on 15 July would be exposed. 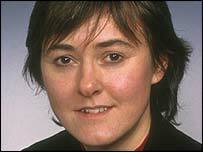 He had, foolishly, denied having contact with the BBC Newsnight journalist Susan Watts. She had taped the interview and the BBC was about to reveal this. I believe David learned of this impending disaster on the morning of his death... With that knowledge came an instant awareness that his honour and integrity would be besmirched... His world collapsed." Why did Graham Coe, the detective who found Dr Kelly's body, not tell Hutton that there was a third suited man with him and his partner DC Colin Shields when the body was discovered, as some eyewitnesses had suggested. Why has he subsequently admitted this? And why does he refuse to name him? How did Dr Kelly cut his left wrist if, as friends said, he had damaged his right arm to such a degree that he struggled cutting steak? Why was the ulnar artery severed rather than the radial, which is how the cut would "naturally" have been made, from left to right, with the right hand? Could this suggest the cut was made by a third person? Why were there no fingerprints on the knife when Dr Kelly was not wearing gloves? Nor on the bottle from which he supposedly drank to swallow the tablets? 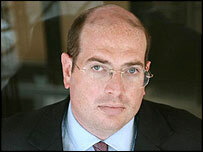 Why was that fact not disclosed to Hutton, but only later through a Freedom of Information request? Why did the helicopter which passed over the scene with heat-seeking equipment not detect the body soon after death – a piece of information obtained using the Freedom of Information Act five years after the Hutton Inquiry ended? What explains the discrepancy between the account of the position of the body given by the dog handler who discovered it and the paramedics when they arrived? Did someone move the body? Did Dr Kelly die where his body was found? Why did the head of the investigation into Dr Kelly's death, Superintendent Alan Young of Thames Valley Police, not give evidence to Hutton? Did the police and three officers from MI5's Technical Assessment Unit strip the wallpaper at Dr Kelly's home in the hours after he was reported missing – but before his body was found? 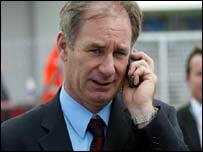 Had Dr Kelly written 40,000 words of a book on Iraq and biological warfare which they took away? Where are his computers now? Why did Lord Hutton place a 70-year embargo on release of the post-mortem documents? The answers to many of those questions could be mundane and inconsequential. Those who insist that Dr Kelly was murdered by the Iraqis – or by MI5 to prevent him from disclosing that Britain helped Saddam develop biological weapons in the 1980s – or who have developed some other far-fetched conspiratorial fantasy, could well be disappointed. The question remains as to whether a normal inquest would have recorded a more enigmatic Open Verdict. What ministers must now consider is whether a full-blown inquest would achieve much. Politically, it would provide another stick with which to beat Tony Blair. Would it sate the sceptics? Britain has a history of long, expensive public hearings – from the Hillsborough Disaster inquiry to the inquest into the death of Princess Diana and the Saville investigation into Bloody Sunday – which do little but confirm most people in their pre-existing views and prejudices. What political catharsis would be achieved by raking over the detail of Dr Kelly's death and coming to more exhaustive but almost certainly equally inconclusive findings? Dr Kelly's family has no interest in pushing for a formal inquest. It would undoubtedly cause his daughters and his wife further, unnecessary distress. Perhaps we should be guided by them. • Dr David Kelly's wrists were slit and he had swallowed 29 co-proxamol tablets. No wonder he died. Of course it is possible that he was previously killed by a mystery poison, after which his murderers cut his wrists and forced the tablets down his mouth to make it look as if he had killed himself. His wife reported that he was seriously depressed, but this is ignored by the conspiracy theorist who prefer the word of people he met in the pub. But even if he was murdered, as David Aaranovitch asks in his demolition of the conspiracy theory (in Voodoo Histories, Cape £8.99), cui bono? (to whose benefit?). Not Tony Blair and his colleagues, who were accused of hounding Kelly to his grave. A shadowy band of Iraqi exiles who were vengeful because he had exposed the feeble case for war against Saddam Hussein? If so around half the witnesses at the Chilcot inquiry must be expecting the assassin's knock any day soon. You can prove almost anything when there is enough data, as there is in the Kelly case. You place immense significance on anything that might help your case, and simply ignore the rest. It is not a question of whether there should or should not be a proper inquest into Dr David Kelly's death (Editorial, 17 August). This is not a matter for debate. The laws of this country state very clearly that there must be an inquest into any death occurring in the manner in which Dr Kelly is said to have died. 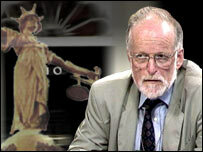 Further, Lord Falconer inappropriately invoked Section 17a of the 1988 Coroners' Act, "ordering" the coroner Nicholas Gardiner to "adjourn indefinitely" his inquest into Dr Kelly's death on 13 August 2003. This intervention by the then lord chancellor surely constituted a blatant subversion of due process of the law. 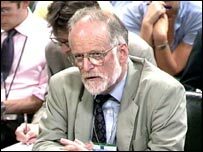 The fact that no inquest has been held into Dr David Kelly's death is nothing less than a national disgrace, particularly when one recalls the context in which his death took place. The Attorney General has signalled that he is prepared to intervene in the controversy over the death of Dr David Kelly, admitting that those who doubted his suicide “may have a valid point”. In an interview with The Daily Telegraph, Dominic Grieve said he hoped to settle any concerns about the government scientist’s death to “give the public reassurance”. His remarks raise the prospect that a full inquest, which could see Tony Blair, Alastair Campbell and other senior Labour figures questioned in public, could finally be held. But the Attorney General said that before he applied for such a hearing he would need convincing evidence that the weapons expert had not committed suicide. 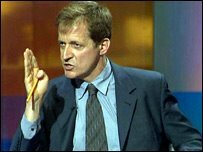 Dr Kelly’s body was found in a wood near his home in Oxfordshire in July 2003, shortly after he had been exposed as the source of a BBC report which said the government had exaggerated the grounds for the war in Iraq. Rather than the usual inquest, his death led to an inquiry by Lord Hutton which concluded that he had killed himself, using a knife to cut his wrist and taking an overdose of painkillers. But conspiracy theorists have suggested there may be more to his death, particularly as Lord Hutton ordered that the results of the post mortem examination remain secret for 70 years. Senior politicians and doctors have now called for a full inquest to examine in public how the scientist came to die. Concerns over Dr Kelly’s death intensified last week, when a group of doctors signed a letter stating that the official explanation was “extremely unlikely”. The principal cause was given as bleeding from a severed ulnar artery, a finding which the group argued was unsafe. 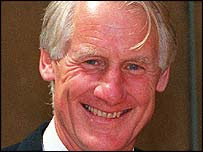 Det Con Graham Coe, who found the body, also said earlier this month that there had not been much blood at the scene. Calls for an inquest have come from the former Labour defence minister Peter Kilfoyle and the Liberal Democrat MP Norman Baker. At the weekend, Lord Howard of Lympne, the former Conservative leader, added his voice. Dr Andrew Davison, a Home Office pathologist, responded by saying that the circumstances of Dr Kelly’s death were “not a game of Cluedo” and should be left to the experts. Because a full inquest was never carried out, Mr Grieve is able to apply to the High Court for one as the most senior legal officer in England and Wales, under Section 13 of the 1988 Coroners’ Act. Normally, this is done on behalf of the deceased’s family. However, Mr Grieve said he could not apply on a “hunch” and had to take account of the feelings of Dr Kelly’s close family, who have not called for a fresh investigation. A High Court judge would only agree to order an inquest if Mr Grieve could prove such a course was in the interests of justice. “If new evidence is put to me I can consider if an application should be made to the High Court that a fresh inquest goes ahead.” Mr Grieve said he was unable to take any action until Kenneth Clarke, the Justice Secretary, decided whether to release a number of key documents from an archive used by Lord Hutton for his report. Their release was requested by the doctors who raised their concerns last week. The archive includes Dr Kelly’s post mortem examination report, which Lord Hutton ordered sealed “in view of the distress that could be caused to Dr Kelly’s wife and daughters”. The request was under consideration, a Ministry of Justice spokesman said. 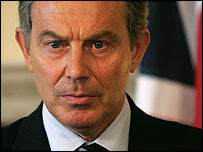 "This is the lowest point," Lord Mandelson records Tony Blair as saying after the death of Dr David Kelly. Even those who cannot bring themselves to commend Mr Blair for giving his book income to charity yesterday will find it hard to argue with his grim comment in 2003. 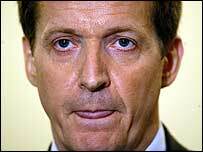 Dr Kelly's death, after the weapons expert had been outed and hounded over the "sexing up" allegation against the Iraq dossier, was one of the most abject moments in recent history. The death, the intensely political context, and the much criticised Hutton report into the case together explain why, to this day, so many feel so certain that the truth has not been told. And they explain why, whether the doubters are right or not, it remains so absolutely important that the full facts must be public, which at present they are not, and be above suspicion. Last week a group of senior doctors called for a full inquest to be held into Dr Kelly's death. They charged that the official verdict – bleeding from self-inflicted incised wounds to his left wrist – recorded by Lord Hutton (whose inquiry in effect replaced the normal inquest procedure) was "extremely unlikely". Most of the doctors' claims have in fact been made before. Most of them have been challenged before too, as they were once again yesterday in a letter to the Times by a pathologist who cast doubt both on the doctors' pathology expertise and their theory that there was not enough loss of blood to support the Hutton verdict. The difference this time is less in the substance of the campaigners' arguments than in their context. In spite of the continuing outrage over the Kelly case no new evidence has actually been produced to support any alternative to Hutton's verdict. The Kelly family, moreover, have not so far lent their support to the new inquest campaign. But there is a new government now, which might be more inclined to act on the call than Labour was. And the cause is being more ardently promoted than ever by the Daily Mail group, which first asked Mr Blair back in 2003 whether he had blood on his hands. It is reasonable to ask whether, at a time of huge public spending cuts, a fresh inquest with attendant lawyers' fees would be justifiable. The more so when a significantly different verdict, let alone one which would satisfy those who believe Dr Kelly was murdered, is extremely unlikely. Some people, it is obvious, will never be satisfied. Against that, however, there is the ineradicable importance of these events and the highly unusual denial of a proper inquest in this case. The need remains to get to the bottom of a great public and private agony. A full inquest should be sympathetically considered. But there can be few illusions that it will ever finally lay Dr Kelly's case to rest. Former Tory leader Michael Howard tonight put himself at the head of a powerful all-party campaign to force a full inquest into the death of Min­istry of Defence weapons expert Dr David Kelly. 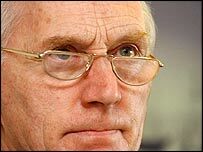 Mr Howard, Conservative leader when the Hutton Report found Dr Kelly took his own life, said: ‘In view of the growing number of relevant questions that have arisen and cast doubt on the conclusions reached by Lord Hutton, I believe it would now be entirely appropriate for a full inquest to be held. Mr Howard, now a leading Tory peer, was backed by Labour leadership challenger Diane Abbott, two former Labour Defence Min­isters who served in Tony Blair’s Government and a number of senior Tory, Lib Dem and Labour MPs. They spoke out amid signs that the Government is prepared to act in response to the growing demands to resolve questions over the circumstances of Dr Kelly’s death. It emerged yesterday that Attorney General Dominic Grieve is ready to meet the group of senior doctors who last week claimed Dr Kelly could not have committed suicide in the way described in Lord Hutton’s report. Mr Grieve has already indicated he is ready to ask the High Court to order a full inquest if he believes there is sufficient evidence to cast doubt on Lord Hutton’s verdict. And Justice Minister Ken Clarke was yesterday urged by a Cabinet colleague to scrap Labour’s unprecedented 70-year embargo on releasing Dr Kelly’s medical records, including the results of the post-mortem examination. ‘If we are going to find out how Kelly died, the first requirement is to allow his medical details to be scrutinised,’ said the Cabinet Minister, who asked not to be named. In tomorrow's Mail on Sunday, Dr Michael J. Powers QC, a doctor and barrister behind the latest demand by medical experts for a full inquiry, delivers a fresh challenge to Lord Hutton’s account of the way Dr Kelly is said to have slashed his wrists. ‘A fatal haemorrhage from a ­severed ulnar artery is so improb­able that more evidence was essential before such a conclusion could be reached,’ says Dr Powers. Dr Kelly’s body was discovered in woods near his Oxfordshire home in July 2003, shortly after he was exposed as the source of a BBC news report questioning Tony Blair’s grounds for war in Iraq. Unusually, no coroner’s inquest was held into his death. The only official verdict has come from the Hutton Inquiry, commissioned by Mr Blair, which concluded that Dr Kelly, 59, died from loss of blood after cutting his left wrist with a blunt gardening knife and taking an overdose of co-proxamol, a painkiller commonly used for arthritis. Critics regarded the report as a ‘whitewash’, crippled by an assumption from the outset that suicide was the only possible conclusion – and a desire by the report’s author, Lord Hutton, to spare Dr Kelly’s family additional distress. The Mail on Sunday has led the way in reporting experts’ doubts over the Hutton verdict. We revealed that a close female confidante of Dr Kelly believed it was impossible for him to have killed himself by slashing his wrist because his right cutting hand was too weak to slice into steak. The woman, Mai Pederson, has confirmed this to Mr Grieve. We also disclosed last year that 13 doctors had mounted a legal challenge to the finding of suicide on the grounds that a cut to the ulnar artery, which is small and difficult to access, could not have caused death. Their 12-page dossier is also now in Mr Grieve’s hands. And last week, the first interview with the policeman who found Dr Kelly’s body cast further doubt on the verdict that he died of blood loss. Detective Constable Graham Coe revealed he had not seen ‘much blood’ around the body. DC Coe, 63, also said police searched Dr Kelly’s home the day after his death for papers ‘of a sensitive nature’ about Iraq. Significantly, the demands for a full inquest now command support from all sides in Parliament, not just those who opposed the war. 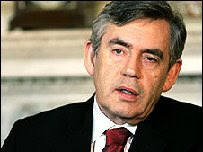 Mr Howard gave full support to the conflict, though later accused Mr Blair of lying over the reasons for it. However, there is likely to be opposition from Labour figures involved in the war and its aftermath. 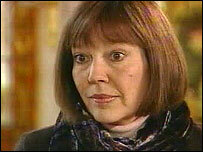 They include former Lord Chancellor Lord Falconer, a close Blair ally. It was he who chose Lord Hutton to investigate Dr Kelly’s death and who put the 70-year embargo on releasing his medical records. A distinguished historian and neighbour of Dr David Kelly has added to the growing clamour for an inquest by declaring he does not believe Dr Kelly committed suicide. Count Nikolai Tolstoy said last night that the scientist’s ‘considerate’ character meant he would never have chosen to die in a place where passers-by were likely to be shocked – particularly when he could easily have deployed more discreet and effective means of killing himself. Tolstoy, who is an expert on Celtic mythology and the Second World War, lives in the Oxfordshire village of Southmoor where the scientist shared an old farmhouse with his wife, Janice Kelly. Dr Kelly died on nearby Harrowdown Hill, on a walking route that is widely used by locals. ‘I remember the night of his death very well,’ Tolstoy said last night. ‘There were helicopters flying overhead for hours after the body was found. ‘The general view in the village is that suicide is extremely unlikely. He used to drink in our local pub and he was a very friendly and considerate man. ‘I frequently walk past the spot where he died, and he would not have done something like that in a place where an old lady could have found him. Tolstoy, who stood as a UKIP candidate against David Cameron at the last Election, believes that Dr Kelly died because he had annoyed Tony Blair’s Government. The historian, who is a distant cousin of War And Peace author Leo Tolstoy, had his own battle with the Establishment in the Eighties when he was ordered to pay £1.5 million damages to Lord Aldington, after making claims in a pamphlet accusing the peer of complicity in war crimes. Tolstoy’s defence against the libel action was seriously hampered when the Ministry of Defence removed vital papers from the Public Record Office which Tolstoy needed to fight his case – while Aldington found his access to war records unimpeded. ‘I was in a similar position when I was attacked by the Establishment and it didn’t make me feel that way [suicidal],’ Tolstoy added. ‘As Sherlock Holmes said, when you have eliminated the impossible, you are left with what happened. ‘Presumably the British Government was behind it all. I don’t believe the theory that Iraqi agents murdered him – how would they have the means and the opportunity to come into the country? In the absence of any bleeding tendency from a clotting deficiency (and there was no evidence of this) fatal haemorrhage from a severed ulnar artery is so improbable that more evidence was essential before such a conclusion could be reached. Yet this extreme unlikelihood was never explored with Dr Hunt. Whatever the reason, this was a serious failure of the Hutton Inquiry. It has understandably led to a suspicion of cover-up. This could not have been the cause of death, the argument goes. If it were not the cause, then what did cause his death? Was it something Dr Kelly did to himself, intending to cause his own death, which has not yet been discovered? Was it part of some elaborate plan by others to end his life? * Dr Michael J. Powers QC is a barrister specialising in medical causation and a Fellow of the Faculty of Forensic and Legal Medicine of the Royal College of Physicians to which he is an appointed examiner. Amid the continuing interest surrounding the death of the government weapons inspector, the late Dr David Kelly, we wish to express our concern about the conclusion as to the cause of death in the light of the information now in the public domain. It is extremely unlikely, from a medical perspective, that the primary cause of death would or could have been haemorrhage from a severed ulnar arter in one wrist without any evidence of a blood clotting deficiency. This small artery, deeper in the wrist than the larger radial artery used to palpate the pulse, would have retracted on being severed and within a short time blood loss would be expected to have ceased.Insufficient blood would have been lost to threaten life. Absent a quantitative assessment of the blood lost and of the blood remaining in the great vessels, the conclusion that death occcurred as a consequence of haemorrhage is unsafe. The inquiry by Lord Hutton was unsatisfactory with regard to the causation of death. A detailed investigation of all the medical circumstatnces is now required and we support the call for a proper inquest into the cause of Dr Kelly's death.